Daler Rowney Artists' Watercolours 5ml Tubes are characterised by their rich free-flowing colour, which leaves no hard lines at the edge of washes. Its unparalleled performance is a product of precise formulations, based on the suspension of the very finest quality pigments in an aqueous solution of gum arabic. The formula for each colour varies according to the nature and behaviour of the pigment. 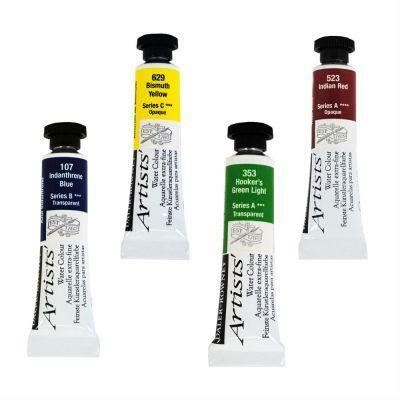 Only the best pigments, regardless of cost, are used in the manufacture of Artists’ Watercolours. I have recently changed to Daler Rowney Watercolour paints and am very pleased with them.